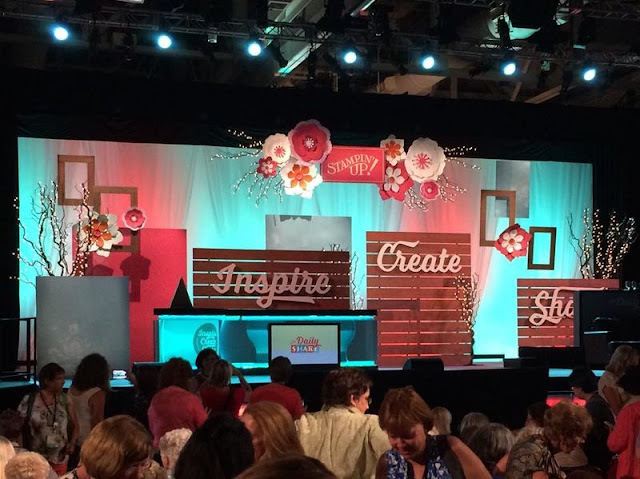 Inspire Create Share 2015 is over! Sigh! We had just the best time ever! It was Sandra's first convention ever! 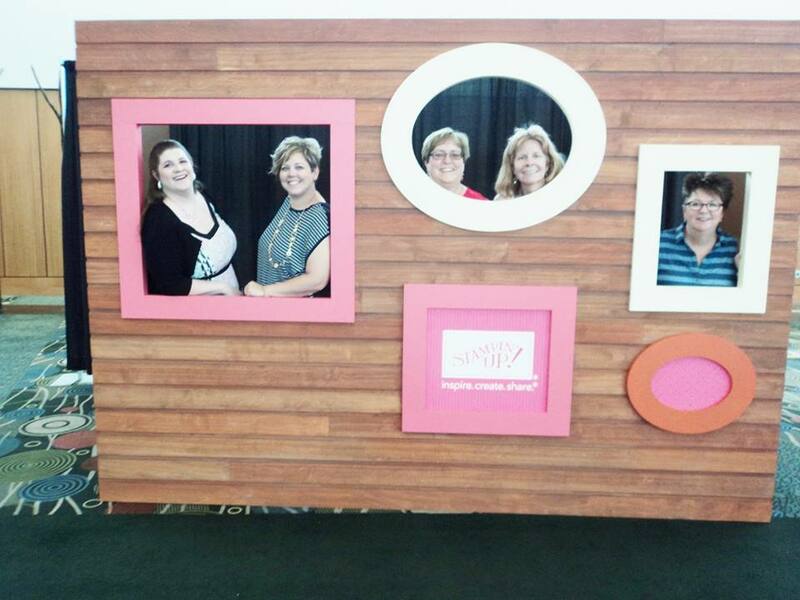 Here's some of the gang in a Convention created photo op! 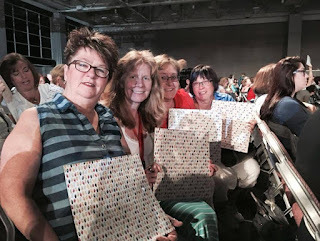 We all won some new Designer Series Paper! 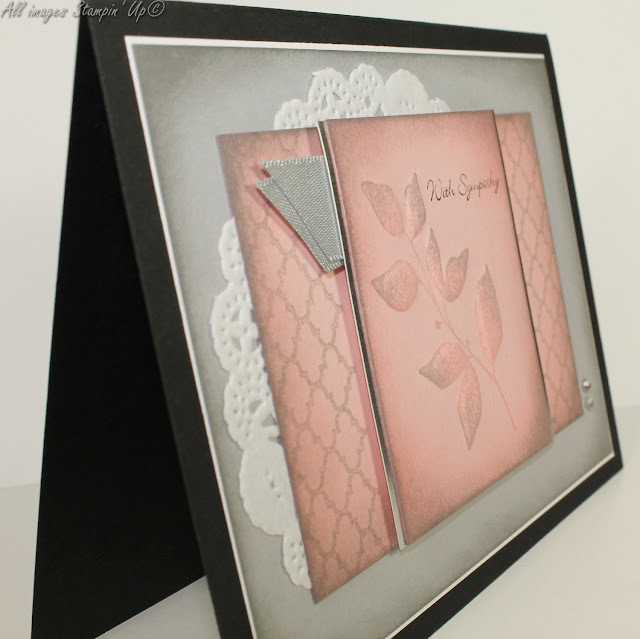 This was a creation for the Something New swap, featuring new stamp sets from the 2015 - 16 Annual Catalogue. It was created by Carol Gilmore of Albuquerque, NM! 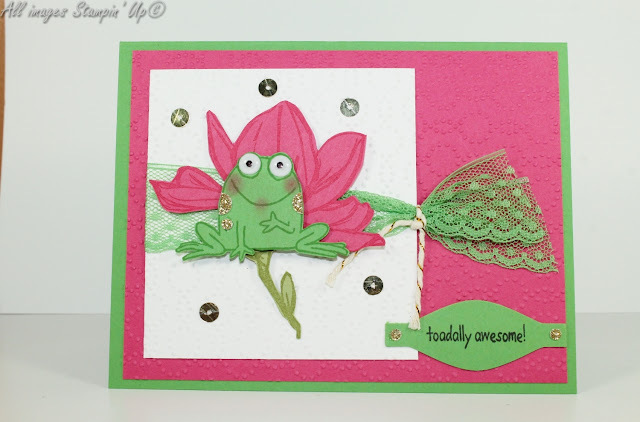 I love the colours and the little popped up butterflies on this well designed card using the Hey, Girl Stamp Set. 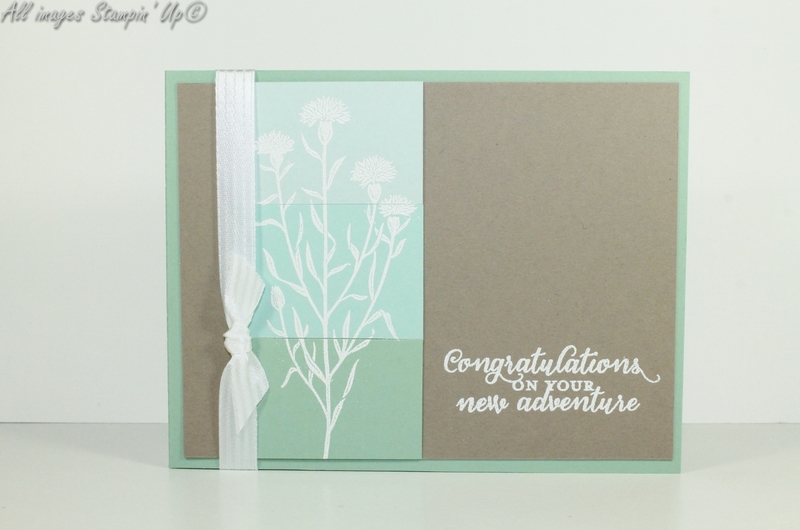 This card uses the new set Wild About Flowers and was created by Stacey Lisk of Pleasant Prairie, WI, for the Something New Card Swap. 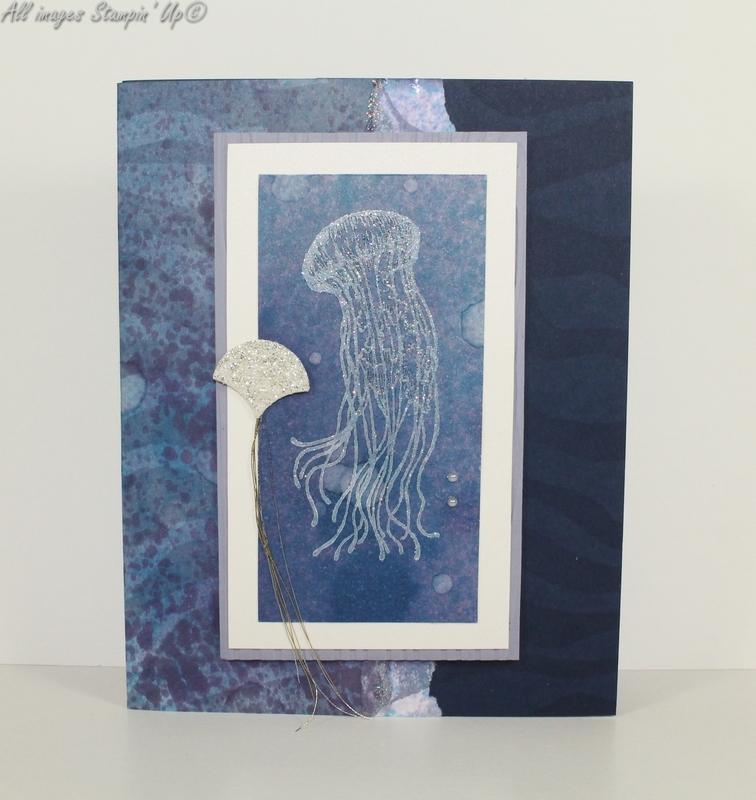 I love the ombre effect of the 3 colours of blue cardstock with the image embossed in white, matched up to each other. Leslie Irvin from Albuquerque, NM, went all out for the Something New Swap using the new stamp set, You're Sublime! 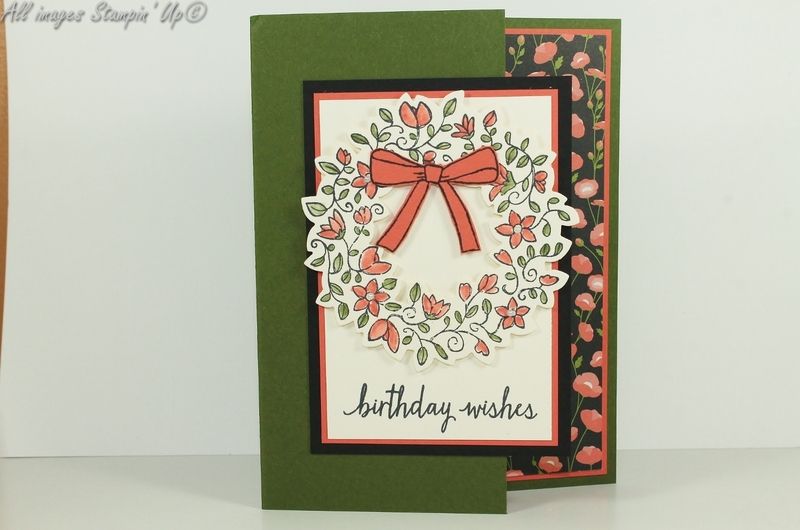 Love all the texture and the colour scheme of this one! Linda Pittman from Hixson, TN, used Circle of Spring as her choice of a new stamp set for the Something New Swap and paired with with a piece of the Pretty Petals Designer Series Paper Stack for a striking design. I love the flowers on the brick wall created by Cindy Ewertz of Wheat Ridge CO for the Something New Swap! 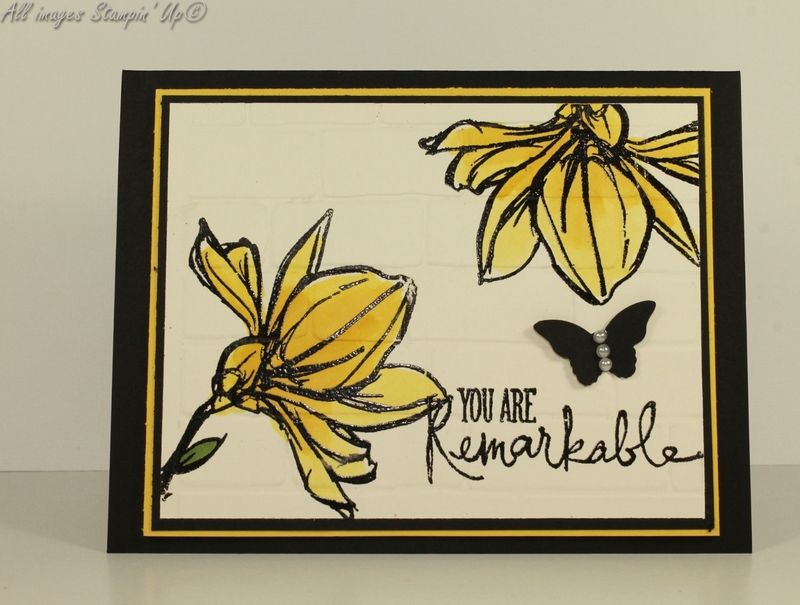 She used the amazing Remarkable You stamp set and embossed the images and sentiment in Black Stampin' Embossing Powder then heat set it and water-coloured it. Beauty! Gloria Hall from www.stampingwithgloria.com, must have taken a long time to create this amazing background for the Not Your Grandma's Technique Swap. It uses the Spritz and Dip Technique. This is just a gorgeous card design, using the new From Land to Sea stamp set. 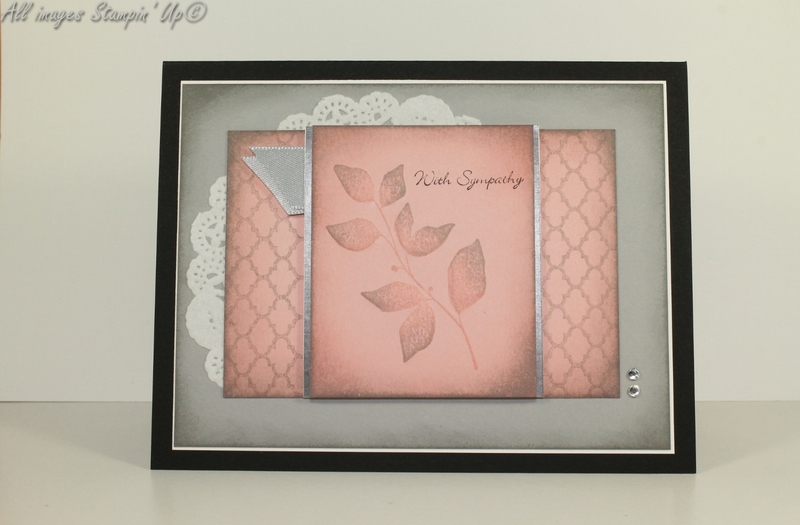 And last, but not least, Amy Jasper of www.inkingonthefly.com, for the same Technique Swap, uses the hand embossing technique to make this oh so creative card. I love the shading and the soft colours. You can see the raised leaves from the Summer Silhouettes Stamp set that we embossed by hand. 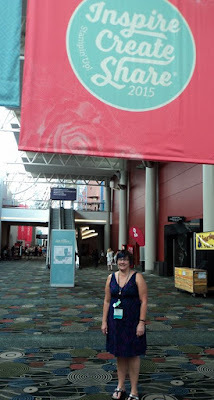 I'll share a few more with you tomorrow!